The blog is closed today due to the impending snowstorm. Only thing lacking was a smattering of little colorful rainbow sprinkles on top. Be safe. 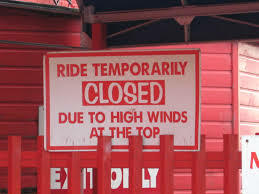 No riding rollercoasters in high winds.